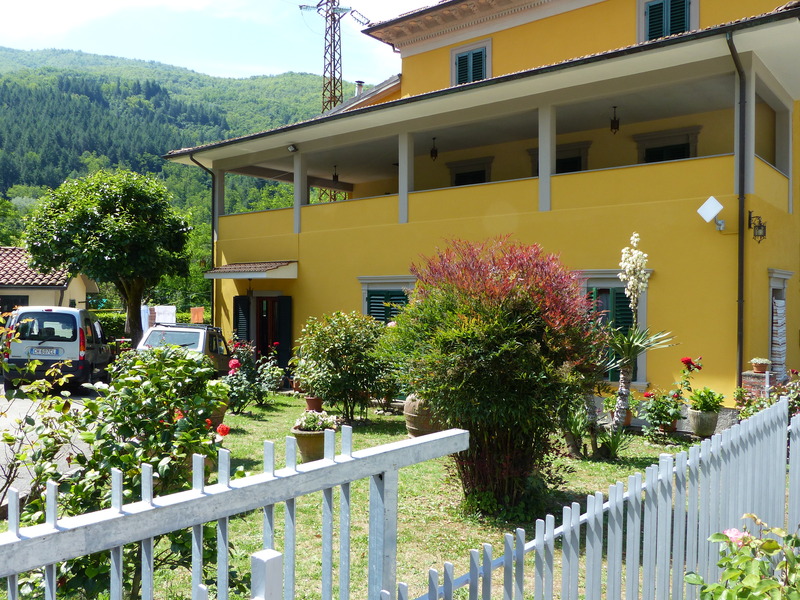 I love that Bagni di Lucca residents grow things in tiny patches of land. 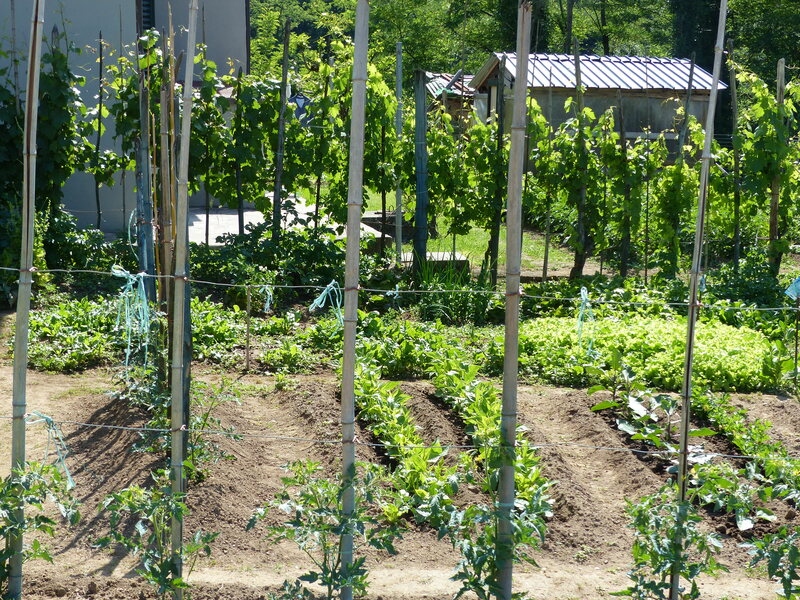 Little plots grow vegetables and fruit and olive trees. Grape vines form fences. I often see thriving gardens on my walks around the villages. 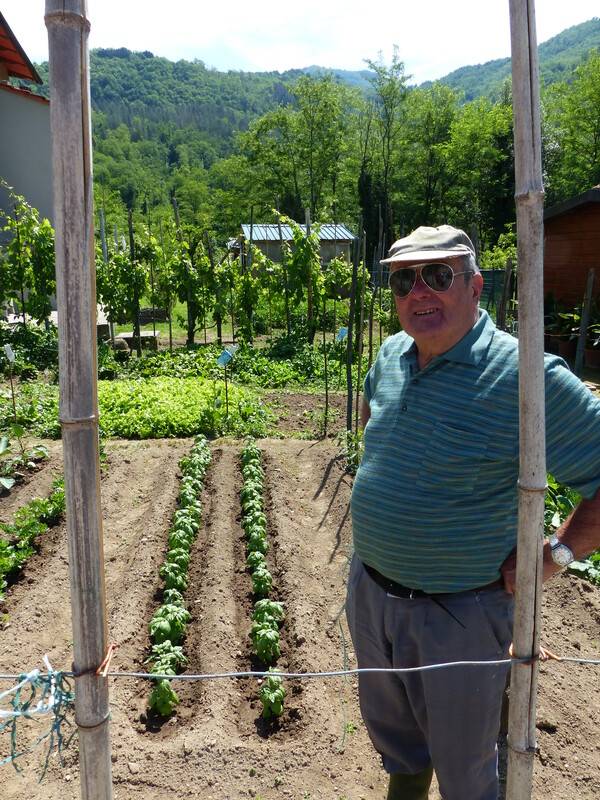 I was happy to meet Rino Pacini who proudly showed me his growing vegetables. His front yard is also lovingly tended. Growng basil in a pot is about all I can manage on my tiny balcony at Ponte a Serraglio. This entry was posted in People and tagged Bagni di Lucca, gardening, gardens, Italy, Tuscany by Debra Kolkka. Bookmark the permalink. I love these home gardens. It’s great to see how people manage tiny plots of land! The tiniest spaces are planted, it’s great. Next time try to grow some sage in a pot. Basil is readily available. And pasta with olive oil and chopped sage is deliciously simple to prepare…. Almost everything homegrown has much more flavour and it is very satisfying producing your own fruit and vege. The Italians do it very well!